Learn how to protect your fence this winter. While you have plenty of options when choosing fencing for your property, there are certain considerations that can help you better maintain the fence and prolong its life. By protecting your fence from harsh winter weather, you can keep it looking newer, and more appealing, for years to come. This will help benefit your home’s curb appeal, help you avoid costly fence repair and replacement, and keep your lawn secure. So make sure to protect your fence this winter with the following four tips. If moisture has built up in your wooden fence from precipitation, freezing, and thawing, it can cause problems with your fence’s structural integrity. Since the posts of your fence are stuck in the ground, they can be especially vulnerable to built up moisture. Since wood is far more susceptible to moisture-related rot and warping than a fencing material like vinyl, it’s important to regularly check your fence for signs of mold or weakening fence posts. If you come across signs of mold or mildew, it can help to drain away any stagnant water around your fencing. Otherwise, be sure to seal your wooden fence and stay on top of regular maintenance. Soil loosens, moves, freezes, and thaws throughout the year–every year. This can mean trouble for your fence posts if they are not installed low enough into the ground. 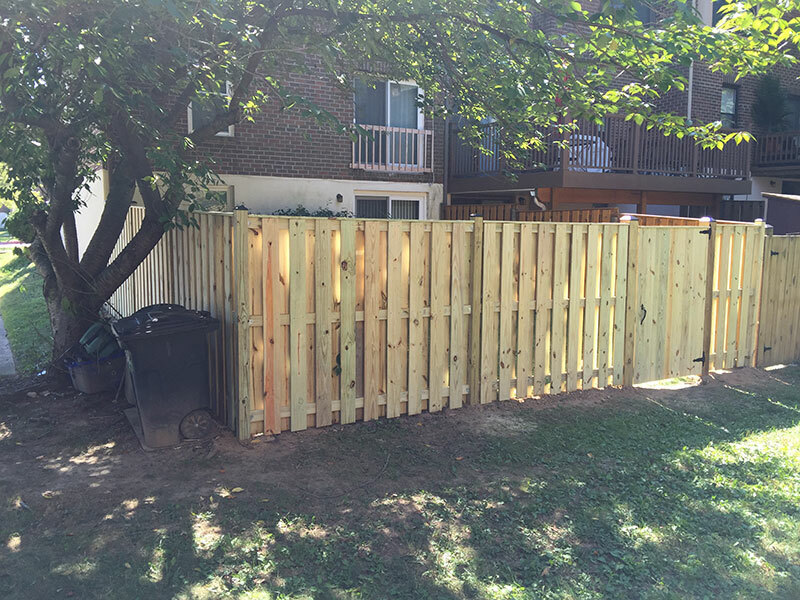 If your fence posts are not installed deeply enough and the posts shift, it can cause your fencing panels to go crooked and require professional repair. When snow builds up and trees begin to freeze, falling limbs can be a hazard for your landscaping and outdoor furniture–not to mention your fencing. Sizeable falling limbs can break your fence and cause damage, especially if they are left unmoved all winter. Clear obstructions to avoid issues with any felled trees and your fence. Because of the moisture and rapid temperature changes, wood can be easily warped. This can cause problems with the fence’s structural integrity which demand repair or replacement in the spring. Consider strong varieties of wood that are less likely to warp when installing your fence, and be sure to use strong posts to avoid structural issues. Keeping your fence properly cleaned, maintained, and sealed can also help avoid these warping woes. This entry was posted on Thursday, November 29th, 2018 at 5:02 pm. Both comments and pings are currently closed.